If you’re reading this article, you might be tall. Why else would you be visiting TallSlim Tees? But here’s the thing: However tall you are, there’s usually always someone even taller. 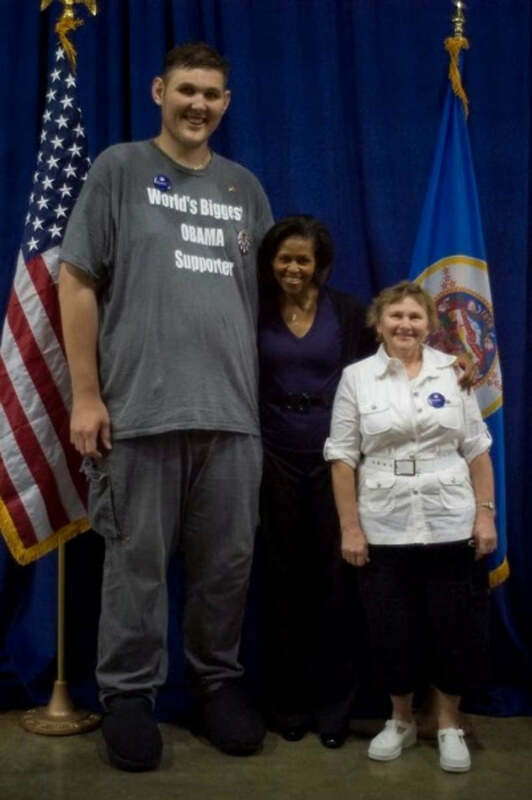 Once known as “Obama’s Biggest Supporter” because of the T-shirt he used to wear (#punbelievable), Igor is a Ukrainian-American actor who appeared in the 2011 movie “Hall Pass,” starring Owen Wilson, Jason Sudeikis, and Jenna Fischer. 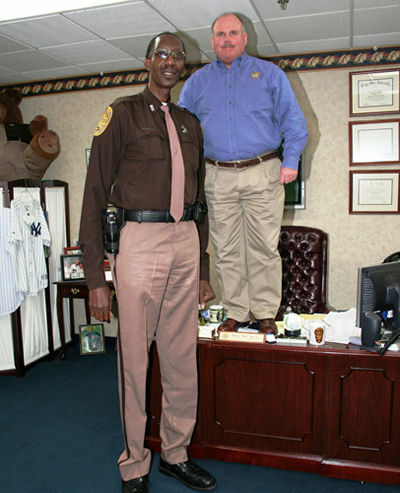 George used to hold the Guinness World Record as the tallest man in the United States but since has been surpassed in stature. He used to play college basketball at Biola University and Morris Brown College, and he went on to play with the Harlem Globetrotters. These days? He’s a deputy sheriff in Virginia. Talk about the long arm of the law (sorry, that was the last #incrediblylamepun). As you can see, barely anything separates these men in height. Bob is a professional basketball player. Formerly of the Premier Basketball League’s Lake Michigan Admirals, “Big Bob” signed with the Rochester RazorSharks, also in the PBL, in early 2016. Finally, we dip below 7’8” with Kenny George. Kenny was also a basketball player, and he played in NCAA Division 1 for the University of North Carolina at Asheville Bulldogs from 2006-2008. In fact, he put together a very respectable 2007-2008 campaign, averaging just under 20 minutes per game, 12.4 points, 7 rebounds, and 3.3 blocks. He also sported nearly a 70% field goal percentage that season and shot 65% from the free throw line. Not bad, Kenny! Yeah, we don’t think so either — 7’4.5” is probably enough for him. Brenden, born in 1995 in Ellensburg, Washington, used to have the record as the world’s tallest teenager, and he used to play middle school football. Can’t imagine opposing quarterbacks had much luck throwing over the middle when Brenden was on the defensive line.